The final result after the regular time (90 minutes) is predicted. The injury time is also taken into account. The extended time, which may be played for some tournaments, is not taken into account, unless it is explicitly indicated. 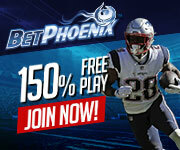 This is a bet on two out of three betting options and it is a winning bet for each of the two outcomes. X 2 – the bet is winning if the second team wins or the result is draw. A bet on the victory of one of the two teams and in case the result is a draw – your money are returned to you. It is equal to an Asian handicap of “0”. You can find detailed information about these options in the relevant article. They refer to the total number of goals which would be scored by both teams in the game. 1. As a value, according to which you can choose between the options over/under. In most cases this value is 2.5, however, there are games for which a bigger number is expected, so the value can reach 3.5 or higher. If the value is a whole number and the number of goals is equal to the prediction, then all bets on over/under are settled as “push”. 2. As an interval, presented by numbers, within which the number of the scored goals would fall. 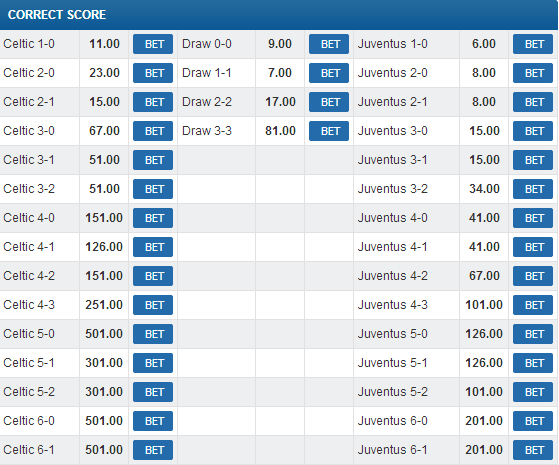 The bookmaker offers a chart with the options for the final result of the match. Sometimes we are left with the impression that the offered odds for an outcome may be extremely high and the probability of this outcome- low. The bookmaker decides how detailed the probable outcomes should be described. 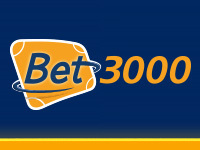 Some bookmakers offer an additional option called “Other”, “Any unquoted” or some other similar name. This option sums up all possible results which are not included in the chart. A bet on “Which team will lead in the end of the first half-time?” is offered by analogy with “A winner of the game”. It is also possible that all betting options mentioned above (Double chance, Draw no bet, Handicap, Correct score, Total goals) are offered for the end of the first half-time, as well. The punter has to guess the exact sequence of the goals to be scored in the first half-time and in the whole game. 9 different outcomes are offered which you can see in the chart below. This type of bets are offered for tournaments and the predictions refer to “Which of the playing teams will go on to the next round and which will drop out?”. The result is specified after the end of the injury time and the extended time, as well as the eventual penalty kicks. For this betting option you have to guess which of the teams will score first. If there are no goals scored in the whole game, then the bets are settled according to the bookmaker’s rules. 1. If the line had 3 outcomes, the third option being “No goals”, then the bets on each of the teams are losing. 2. If the line had 2 outcomes, then the bets are settled as “push”.